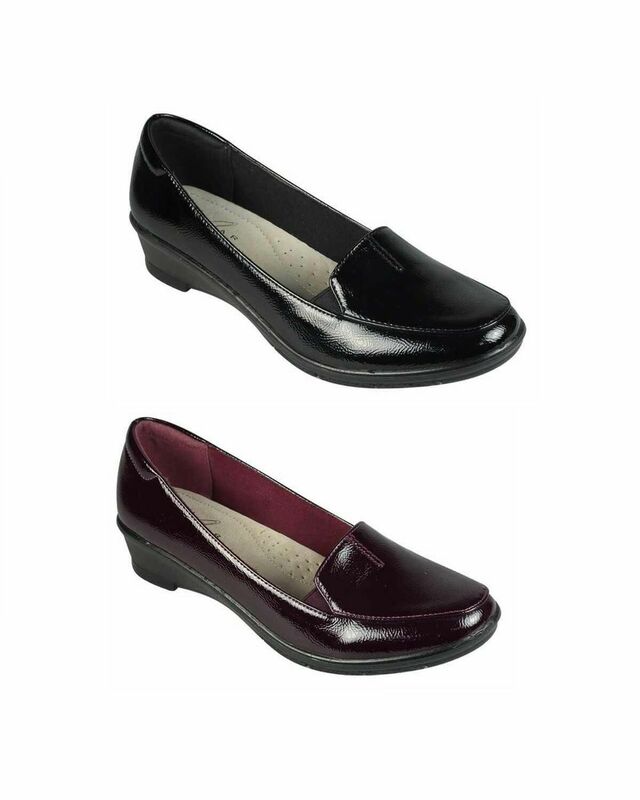 Ladies Patent Slip on Elsbeth Shoe. Available in Black or Burgundy. Ladies comfortable patent slip on shoe with lightweight man-made sole.